Sheriff Justice stood on the bridge, his hands clasped behind his back. Alone. All alone. Just him and his crew aboard the Apprehension. Didn’t anyone understand the situation? Pitrine didn’t get it. He just wanted Justice to return home. Esconso didn’t get it. He had said the same thing. Go home. That wasn’t going to happen. This two-bit bandit’s reign stopped now. Today. No one made a fool of Sheriff Buford T. Justice. No one. Junior silently slid up along the sheriff and handed him a drink. He smiled and nodded at the boy. The jumpiness he got from his mother. The smarts, well, it was obvious the boy got those from the loins of the good sheriff. Justice smiled. The plan had been put into motion with drones dispatched to any possible route the SS Acid Rat could follow back to Planchar. The drones were set to signal contact, then follow, sending back regular updates as to course and position. He had both the SS Acid Rat’s codes that had been used and now had the codes for this second ship. The one he currently followed. He would take a vacation. After the parade and celebration in honor of his victory. No one had ever gotten away from Bamda with a load of tonindrium and this minor crook wouldn’t be the first. When he brought him back, there would be cheers and applause aplenty. All for him. Justice puffed out his chest. The officer picked up the con microphone. Justice slapped it away. The officer jumped and started pressing buttons to set the ship on a course for the SS Acid Rat. B.T. Justice never made the same mistake twice. He’d announced his coming before and that gave the crooks a chance to get away. This time, they wouldn’t see him coming. Justice finished his drink and held it up in the air, shaking the glass to clink the ice against the sides. Junior, Justice’s pride and joy, fetched it and ran to refill it. What a good boy. Joey could feel his palms sweating. June looked as cool as could be, but something about her change in manner disturbed him. Suddenly the inside of this tiny cruiser felt impossibly smaller. The edges of his vision blurred and faded in and out. Mike! Joey almost spat the word out, but June’s hand, quick and dangerous, pressed to his lips. She knew that he’d just figured it out. But why hadn’t she known before? She had this psychic stuff. She should have known that Mike was on board. Unless she couldn’t read him. Then why did she look so relaxed? Did she know where Mike was? Joey adjusted himself in his seat looked straight at June. She also turned toward Joey. Demurely she pointed at the back of her seat. Joey looked. A handle. To what? That had to be where Mike hid. He was hiding inside a storage compartment in the back of the ship. He was hiding and what? Would Mike rush out and try to kill them? What would that gain? Why would Mike do that? But then why had he tried to kill Vic? Mike had snapped and gone insane. It really had to be that simple. Joey felt he was going mad being out in space, why wouldn’t Mike? June closed her eyes and took a deep breath. Her chest swelled and Joey felt himself relax involuntarily. His mind cleared of all thought. Tension disappeared and he felt the most at ease he’d been since arriving. The panel slammed down. Mike, big, hairy, scary, Mike in all his hugeness, sprang forth; fangs bared and eyes glossed over. Mike didn’t even give a moments’ notice to Joey. Not even a glance. He went straight to June. June screamed. Joey hadn’t expected that. Reflexively he reached out and grabbed two of Mike’s legs. One of Mike’s legs whipped out and punched Joey. It happened so quickly that Joey wasn’t even sure which leg it had been. It was then Joey realized they were weaponless. Mike’s rear pointed toward Joey as June fought to keep fangs from getting to her. Joey tried again to grab one of Mike’s legs and again was greeted by a punch. Joey’s head bumped the glass. He had to get Mike off June. He had to. If June got bit, there was nothing he could do to save her. Joey punched Mike. Mike slammed back and pushed Joey into the glass, holding him by his neck. Joey wiggled, but Mike only pushed harder. Joey couldn’t swing, couldn’t hit, couldn’t bite. He even had trouble staying conscious. That he couldn’t allow to happen. Not again. He had to save June. Mike squawked loudly. The sound reverberated inside the Iron Butterfly’s cabin. Joey kicked again. Mike released him and started to turn around, but June finally fought back. Mike returned his focus on her, trying to force his fangs down into her body. “Tootsie, what can you do?” Joey screamed in a panic. He couldn’t go up against Mike and win, not without a weapon. Her tone irritated Joey. He wanted to smash her and her nonchalant tone. He flipped open the center console and pulled her control box out of the Iron Butterfly. “I’ll show you!” Joey prepared to smash Tootsie’s control down onto the ship’s console. Everything in the ship had gone dead. Their orbit faltered. Joey had just killed them all. He’d pulled the control of the ship free and killed them all. Mike and June had taken no notice, but the ship had grown extremely colder all in a matter of seconds. Joey looked at Tootsie’s control cube in his hands. It was hefty in size and hard. Tootsie could do something to help. She really could. Joey jumped onto Mike’s back. June’s screams increased as Mike dropped a couple of inches closer to her. Joey lifted Tootsie as far as he could and brought it to bear on Mike’s head. Mike hollered, but Joey continued to pound the box onto Mike’s head again and again. He continued to pound on Mike’s head until no sound could be heard and June’s screams died away. Joey slid off of Mike and pushed him off of June. The bruises on her face and her messy hair were all she had to show for the battle with Mike. Joey ran his hands over her body looking for any other injuries. Anything at all. Everywhere his hands touched he only felt the fabric of June’s outfit. She winced slightly when his hand rubbed against her ribs and she pushed him away weakly, then grabbed him and pulled him in and kissed him. 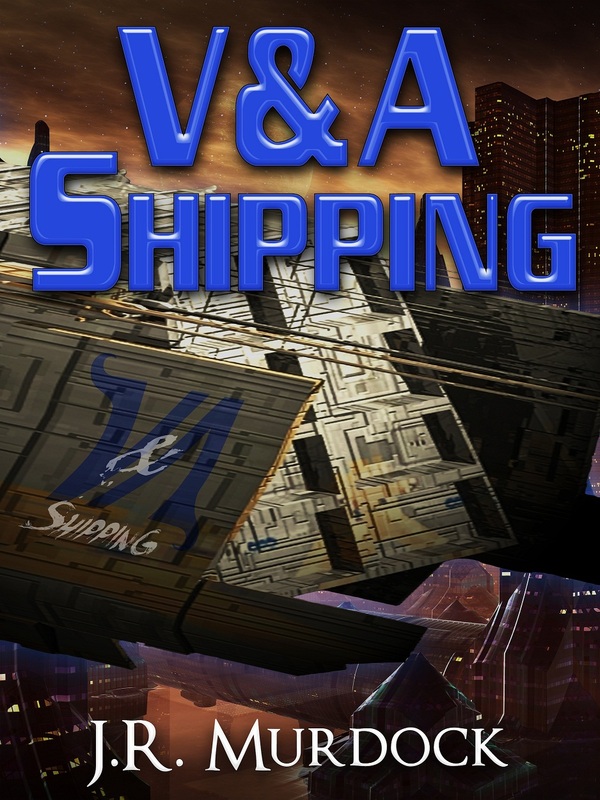 Posted on March 2, 2013, in V&A Shipping and tagged chapter, read along, v&A shipping. Bookmark the permalink. Leave a comment.